Batch Processing is the ability to process many orders at once. This includes processing credit card payments, creating shipping labels, and printing packing slips for all outstanding orders. For high volume merchants, batch processing is a "must-have" feature. 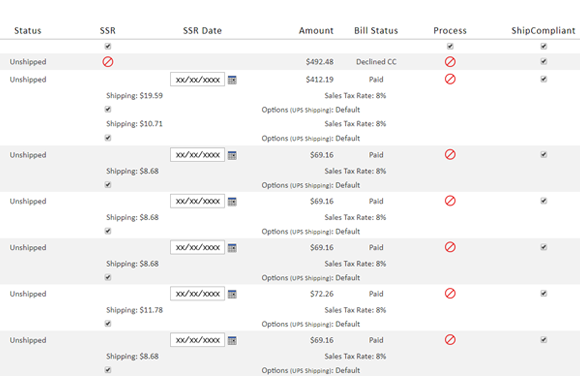 With our batch processing tool, you have the option of creating shipping labels for only those orders marked as "Paid". This prevents you from shipping something and later finding out that the credit card payment didn't go through. You can also print packing slips and/or invoices in bulk. You can execute a search, and then process just the orders that resulted from that search. 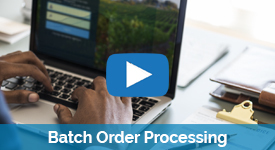 Although processing orders one at a time in the Order Management System is simple, many high volume merchants find batch processing to be a huge time saver!